בְּרֵאשִׁית, בָּרָ”א שְׁתֵּ”י, וַעֲלֵיהֶן נֶאֱמַר וַתֵּלַכְנָה שְׁתֵּיהֶם וְגוֹמֵר, וְהֵן שְׁתֵּי תוֹרוֹת, תּוֹרָה שֶׁבִּכְתָב וְתוֹרָה שֶׁבְּעַל פֶּה, וְעוֹד, שְׁנֵי לוּחוֹת הָלְכוּ לְהַר סִינַי, מִיָּד וַתֵּהֹם כָּל הָעִיר עֲלֵיהֶן, הִזְדַּעְזַע כָּל הָעוֹלָם. זֶהוּ שֶׁכָּתוּב וְכָל הָעָם רֹאִים אֶת הַקֹּלֹת וְכוּ’ וַיַּרְא הָעָם וַיָּנוּעוּ, וְאָמְרוּ הֲזֹאת נָעֳמִי, זוֹהִי הַנְּעִימוּת שֶׁל הַתּוֹרָה?! מִיָּד נֶאֱמַר וַיְשַׁבֵּר אוֹתָם תַּחַת הָהָר. פָּרְחָה הַתּוֹרָה מִשָּׁם וְאָמְרָה, אֲנִי מְלֵאָה הָלַכְתִּי לְהַר סִינַי, וְכָעֵת רֵיקָם הֱשִׁיבַנִי יהו”ה, מְלֵיאָ”ה מָלֵא י”ה, וְכָעֵת פָּרַח מִמֶּנִּי מָלֵ”א י”ה, שֶׁהוּא יה”ו, וְנִשְׁאֲרָה ה’ יְחִידָה אִלֵּ”ם, נֶאֱלַמְתִּי דוּמִיָּ”ה, דּוֹ”ם י”ה, הֶחֱשֵׁיתִי מִטּוֹב שֶׁהוּא ו’. בְּרֵאשִׁית, “In the Begining”, has the letters of בָּרָ”א שְׁתֵּ”י, meaning ‘Created two’. The Zohar refers the meaning of it to the two major Light channels of the Torah. One is the written Torah and the other is the Oral Torah. The duality and the paradoxes in life reveal the Right and Left columns. Our work is to see and use them as one and by that reveal the Oneness of the whole system. The simplest way to explain this, is the electric circuit. The ground (-) and the positive (+) sides are opposites. If they are disconnected, it doesn’t matter how strong and available the (+) and how big the capacity of the (-)is. They are ‘lifeless’ until they join together with a ‘consumer’ and ‘circulate’ through the circuit and bring life to it. From the same place that the body discharges fluid waste, life can come out. When male and female join their opposites, they keep the world alive. When they are one, life can continue. When the Torah was revealed on Mount Sinai, we read that at the beginning, all the people came close to the mountain to receive the light. 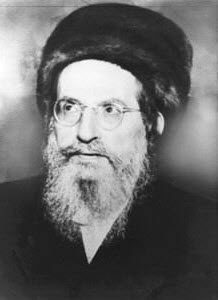 When God actually opened the levels of Chokmah and Binah to bring the Torah to the ‘people’, that were the Erev Rav, moved and stood afar. Because they broke the unity and oneness that was there at the beginning, they brought about the breaking of the two tablets and the negativity that followed. In our time we have the Zohar that brings us closer to the levels of Chokmah and Binah. This is done by the Zohar discussions that reveal the Torah’s concealed energy. The Zohar can unify us like at the time we stood under Mount Sinai to receive the Torah . The last letters of “it shall not be forgotten out of the mouths of his seed” spell “יוחאי” “Yochai”, which is the father, representing ‘Chokmah’ , of Rabbi Shimon. Lag B’Omer, is the death anniversary of Rabbi Shimon. It is considered to be a small version of the holiday of Shavuot, which is the celebration of receiving the Torah on Mount Sinai. We have the Zohar to bring together the Right column energy of the Torah to our Left column level of desire and lack of light. Only with the Zohar we can have the unity and oneness that can draw the light to remove darkness from our lives and ultimately bring Mashiach. Be part of the Unity, join UnityZohar.com.